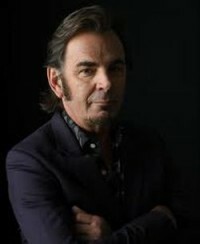 THE ACCLAIMED keyboard player of rock superstar band Journey, Jonathan Cain, releases his fourth solo album in as many years with 'More Like Jesus'. Cain told Billboard magazine, "These days that's what I'm writing, and I'm having a blast with it. I'm recording in my new studio and I get to play with the A-list players in Nashville.I'm just writing all the time, y'know - for Journey, too, but this thing with worship music is really fun. It's another gig that I don't get burned out on, and I have a lot of energy I can offer when I come back to Journey."